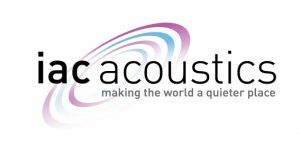 The Danish Acoustical Society (DAS) was founded over 55 years ago by a group of professionals that included Prof. Dr. Tech. Fritz Ingerslev and Dr. Tech. Per V. Brüel. Since its beginnings in 1955, DAS’ membership has grown to over 300 professionals, including over 20 sustaining members. Since its 50th anniversary in 2005, DAS has grown by over 20%, indicating the continued strength of Danish acoustics. Seventy percent of the membership is from industry, 20 percent from national and local institutions, and 10 percent from higher education. To encourage new members and to promote life­long affiliation with the group, graduate students receive a complimentary one-year membership. The society remains dedicated to its original goals: to promote and propagate nationally the knowledge of acoustics and its practical application, and to establish national and international contact between people interested in acoustics, in particular cooperation with Scandinavian, European, and international organizations. DAS has played an important role in organizing several major acoustic meetings, the latest one being Forum Acousticum in Aalborg from June 27 to July 1, 2011, an event which DAS was proud to host for over 600 attendees. DAS has five focus areas: building and room acoustics, electroacoustics, environmental acoustics, machinery acoustics, and psychoacoustics. Activities in each area are organised by the relevant Technical Committees, thus ensuring a high level of activity and broad representation of its members. One of the major events is the annual DAS “Day of Acoustics” where speakers from all aspects of the society are invited. DAS is especially interested in connecting scientists and practitioners within its specialty areas. DAS assists in the review process of new acoustical standards from the Danish Standards (including ISO) and provides input to the Danish Environmental Protection Agency on new acoustical guidelines. DAS is also active outside Denmark contributing to both I-INCE and to ICA with Board Members. Management of the society is in the hands of a six- member board – at the time of writing; Birgit Rasmussen (Danish Building Research Institute), president, and board members Claus Møller Petersen (Grontmij – Acoustica), Douglas Manvell (Brüel & Kjær), Ann Lin Enggård (Moe & Brødsgaard), Dorte Hammershøi (Aalborg University) and Thomas Ulrich Christiansen (Danish Technical University). The society is supported by a part-time treasurer and secretariat. 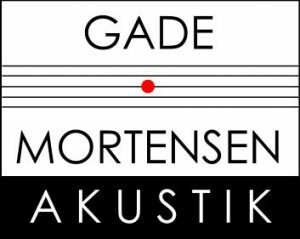 The Society’s web address https://www.d-a-s.dk contains information on meetings, hearings of proposals for new standards, and links to courses in acoustics as well as links to sponsor’s websites (including job notices) and websites of other acoustical organizations. DAS can be contacted at email das@d-a-s.dk. Note: The BNAM-12 proceedings can be purchased for 300 DKK by ordering through the DAS secretariat das@d-a-s.dk. Please include the shipping address as the proceedings are delivered on a USB-card.